Don’t have a tree or post to hang your hammock? Do you want a stand, but want to be able to pack it down smaller for storage or travel? Then this is the PERFECT stand! 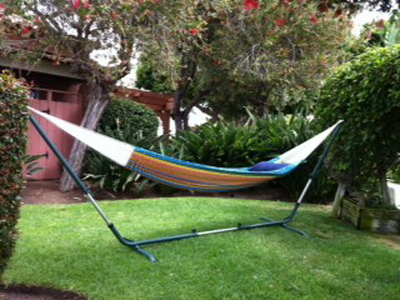 Our heavy gauge steel stand is adjustable in length and height to be able to accomodate any hammock. 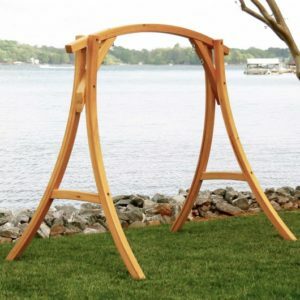 Whether you have a traditional american spreader bar hammock or a super comfortable Mayan or fabric non spreader bar hammock, this stand will work for you. This is a great hammock stand to store under your RV for travel. You can take it apart and put back together in under 10 minutes. No more wishing you had a tree for your hammock! 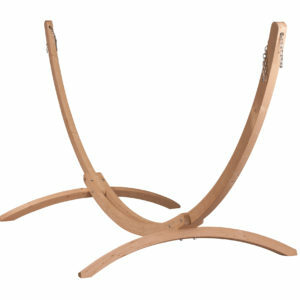 This is by far, our most popular hammock stand. Powder-coated steel construction for durability. 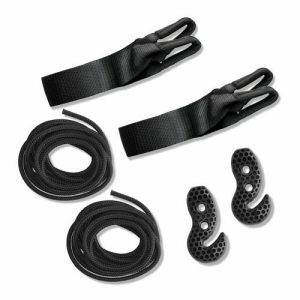 Designed to be able to hold non spreader bar hammocks. Frictionless synthetic ends to attach your hammock. Threaded synthetic knobs for easy adjustment – no tools needed. Dimensions: 11.5′- 14.5′ long x 3’3″ wide base x 3’10” – 4’6″ height.